Locally built XC90s will lead Volvo's sales push in India. 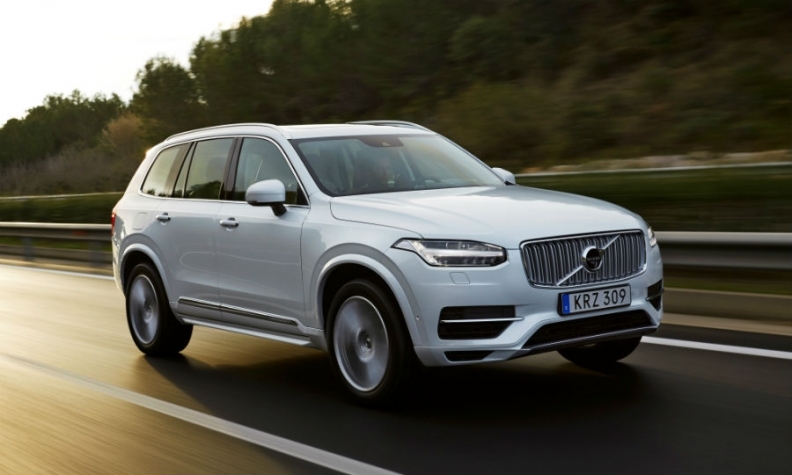 Volvo Cars will start production of its XC90 in India before the end of the year as part of a drive to double its sales in the market. Volvo’s flagship SUV will be produced from complete knockdown kits at a plant owned by Volvo Group in Hoskote, near Bangalore, in southern India. The plant will focus on models using Volvo’s scalable product architecture (SPA), which underpins the XC90 and sister models such as the S90 sedan and vehicles such as the new-generation XC60. While the Indian premium market is still relatively small, it is forecast to grow rapidly in the coming years. Volvo currently has a premium segment share of nearly 5 percent and aims to double this by 2020. In 2016, Volvo sold more than 1,400 cars in India, an increase of 24 percent compared to 2015. Year-on-year sales growth in the first four months of 2017 was more than 35 percent. Volvo, which is owned by China’s Zhejiang Geely Holding, is cooperating with Volvo Group, the truck, bus and construction equipment manufacturer, and will make use of Volvo Group’s existing infrastructure and production licenses. The companies didn’t provide addition contract and financial details. "I am pleased that as of this year we will be able to start selling Volvos that are Made in India," Volvo Cars CEO Hakan Samuelsson said in a news release. "Starting vehicle assembly in India is an important step for Volvo Cars as we aim to grow our sales in this fast-growing market and double our market share in the premium segment in coming years," he said. Tom von Bonsdorff, Volvo Auto India's managing director, said: "We are delighted to announce the commencement of an assembly unit. It’s a sign of the company’s strong commitment to India. Volvo’s decision to start assembly in India and market its vehicles as "Made in India" follows an initiative by the national government, which seeks to highlight and promote the country’s manufacturing expertise. Volvo said it will announce later which models are slated for local assembly in addition to the XC90. Volvo's announcement came as General Motors said it will stop selling cars in India, where it has less than a one percent share of passenger car sales. GM said it would no longer market its Chevrolet brand - its only brand of cars marketed in India - despite India's promise as a market set to overtake Japan as the world's third largest in the next decade. GM will not leave India entirely. The company plans to keep operating its tech center in Bangalore and to refocus its India manufacturing operations by making one of its two assembly plants in India – the one at Talegaon, about 100 km (62 miles) southeast of Mumbai – into an export-only factory. It plans to sell the Halol plant in the western Gujarat state to Chinese joint venture partner SAIC Motor. Stefan Jacoby, GM's chief of international operations, the move to turn the Talegaon assembly into an export-only plant will not impact GM Korea and its position as an export hub. India will export vehicles mostly to Mexico and South America, among other destinations, while GM Korea will ship Korean-made cars to North America, Southeast Asia, Australia and Pakistan.